As the fast-paced summer fades into the gentle season of fall, there are plenty of experiences and things to do in Santa Claus, Indiana, and sites throughout Lincoln’s Indiana Boyhood Home. Ride your favorite rides during Happy Halloween Weekends at Holiday World. Visit Santa’s Candy Castle for a cup of delicious pumpkin-flavored cocoa. Enjoy Halloween Weekends at Lake Rudolph Campground & RV Resort. Don’t forget your costume! Spruce up your home with one-of-a-kind décor from Evergreen Boutique & Christmas Shop. Homegrown vines produce delicious wines! Stop by Monkey Hollow Winery and Distillery for a taste. Carve out a tee time at Christmas Lake Golf Course. Ride horseback at Santa’s Stables and admire the bright fall foliage. Immerse yourself in the history while touring the stunning Saint Meinrad Archabbey. Listen to “The Legend of Sleepy Hollow” during All Hallows’ Eve at the Santa Claus Museum & Village. Fall is all about comfort food on crisp days. Try the tasty specialty pizzas at Frosty’s Fun Center! 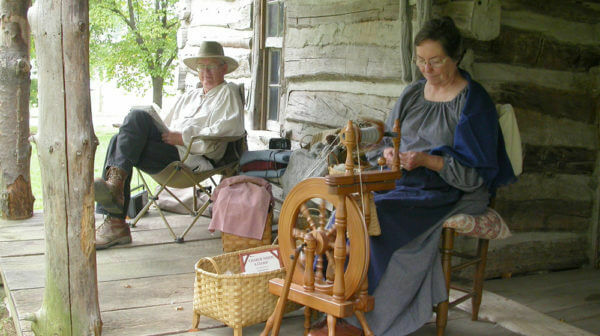 Watch reenactors perform chores from days gone by during Lincoln Pioneer Village & Museum’s Fall Heritage Days Rendezvous. Pitch a tent beneath the stars or rent a cozy cabin at Lincoln State Park. Fireside s’mores, anyone? Snap fall photos along the striking Ohio River Scenic Byway. No filters needed! Walk the scenic trails at Lincoln Boyhood National Memorial. Bring a camera, you’ll want to capture the bright yellow, orange, and red leaves dotting the landscape! Sip. Relax. Enjoy. 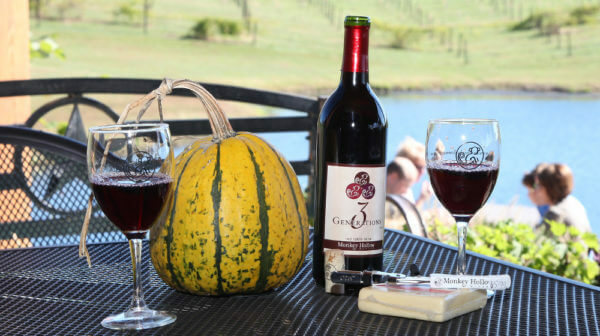 There’s a glass waiting for you at Pepper’s Ridge Winery. 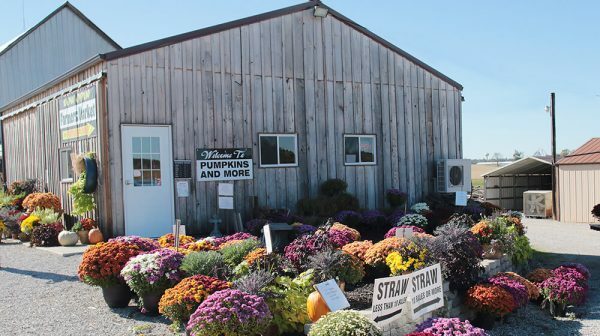 Pick up fall produce, mums, and other locally sourced goods from Pumpkins and More Farm Market. Whip up savory fall treats in your comfy vacation home! Visit with Santa at the Santa Claus Christmas Store. Fall means Christmas is right around the corner! Head out to the Spencer County Octoberfest for fall crafts, food, and more. The cool temps are a perfect time for outdoor fun at Mt. Zion’s annual Applefest. Check out all upcoming events this fall here. Explore the area, and have tons of fall fun. Head over to our Family Fall-O-Weekends page for even more fall fun. This post was originally published October 2017. What Time does the Fun Start?